Some temp jobs are more desirable than others, either due to working conditions, compensation, or the level of skill required to perform. High demand temp jobs may necessitate a little extra work to acquire, but they’re worth it. These are the top three temp jobs, their requirements, and why they’re so widely sought after. 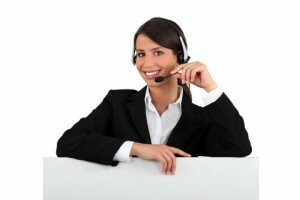 Admin assistant jobs are one of the most favored temp positions. They usually offer great compensation without requiring extensive education and experience. Administrative assistant jobs offer a variation in daily tasks, so they’re excellent jobs for people who like to bring something new every day. These jobs usually require high school and some college or industry experience. Base level pay can start at up to $15 per hour, and experience is more valuable than education in this industry. Experienced administrative assistants can make well over $20 per hour. One of the main reasons this is a sought-after temp job is its ability to become a long-term option. Contact Symphony Placements to find out if you have the skills that make a great administrative assistant. Bookkeeper jobs usually start out as part time with moderate potential to turn into full-time careers. The real allure with this position is that bookkeepers who stick around can see some real earning potential in the future. Experienced accountants can make roughly $35 an hour, and further progression can lead to a career in financial management, which on average makes more than $50 an hour. At the start, bookkeeping jobs usually require a degree or CPA certification, extreme organization, and a talent for math. HR positions are in high demand with a 25% growth percentage over the past two years. HR mangers are responsible for handling employee paperwork and benefits, recruiting and interviewing, and ongoing payroll and employee management. Requirements for HR positions are overly stringent and usually ask for experience or a certificate. HR managers must have knowledge of employee laws and screening practices, and they must be good with both people and technology. Earning potential is significant: highly experienced HR managers or those who specialize in certain areas can make anywhere from $30 to $100 an hour. To search available temp jobs and see if you qualify, contact Symphony Placements today.